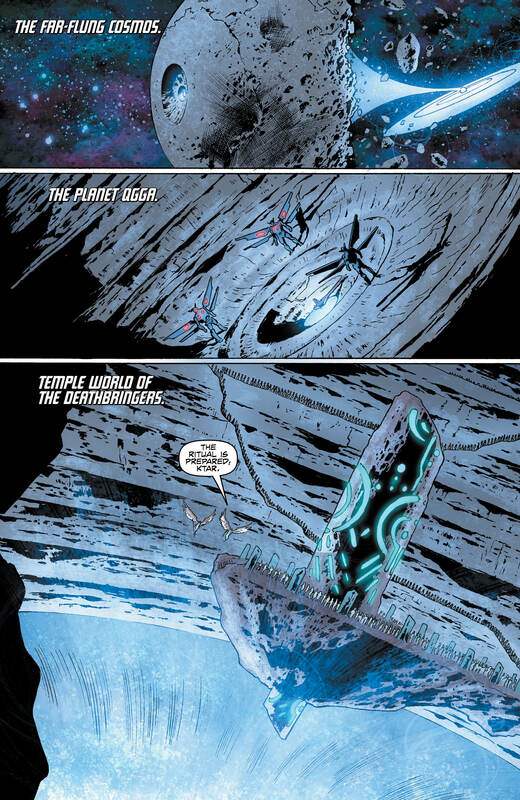 Secret origins revealed! Carter Hall has been travelling the universe meeting and battling with his previous incarnations. 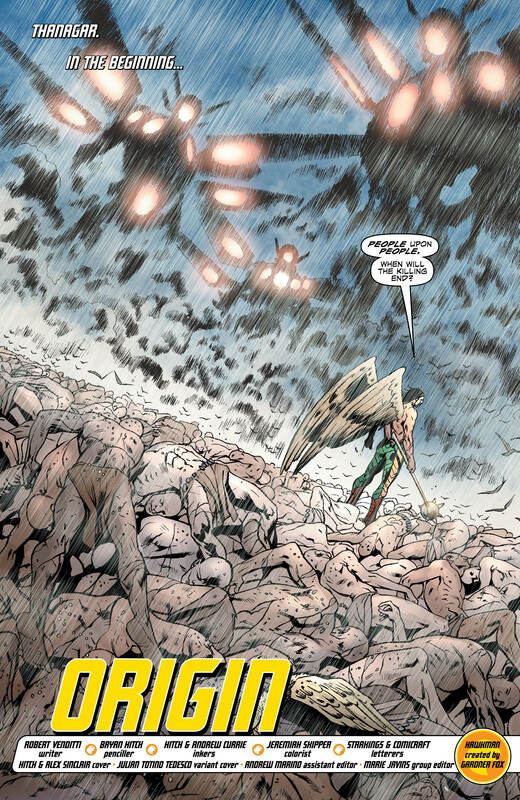 The only thing he knows is that The Deathbringers are coming and the only way to stop them is hidden in the story of Hawkman’s beginning. It finally seems that all the answers are about to be revealed for Carter Hall, but will he like what he finds out, or will he find out about the monsters he once served when the universe was young? 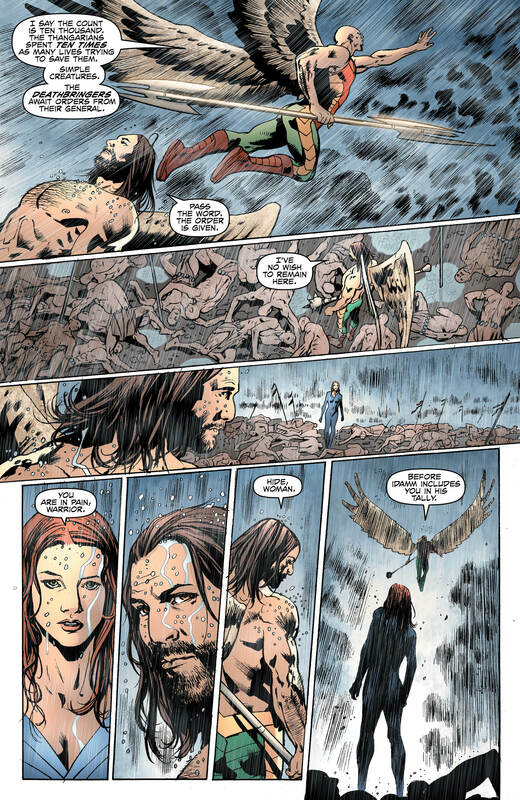 Okay, I’m not spoiling the secret origin of Hawkman, so I’m going to have to dance around it a bit here. 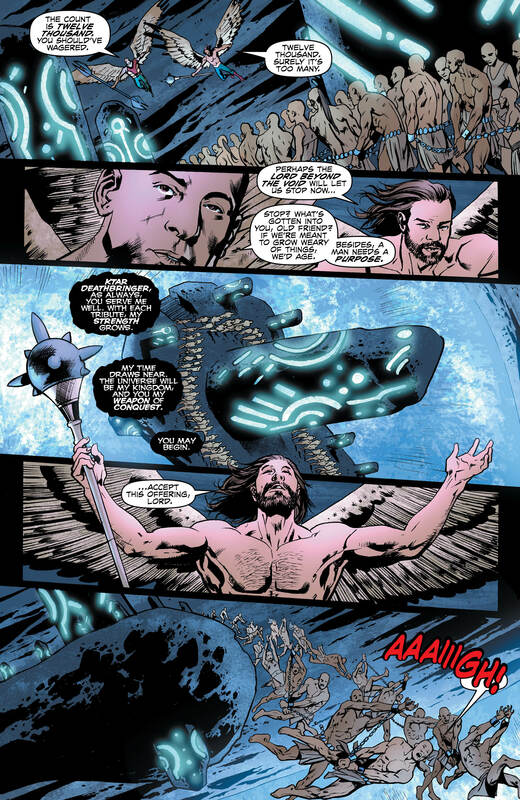 This is Venditti rewriting the rules here, introducing a character who will most likely be the great villain of this story. 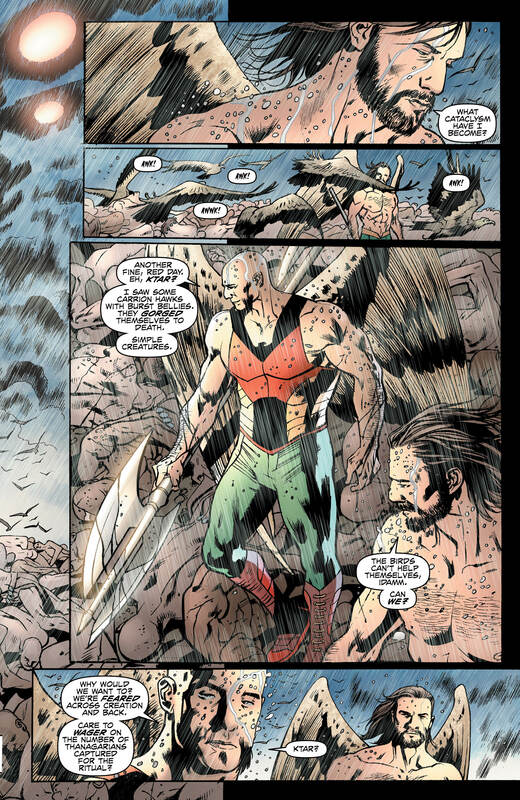 It’s Vendetti’s tale of betrayal and tragedy because for to Hawkman to live it means Ktar must destroy all that he believed in. This issue, despite how vague I’m being, is really good. It’s a unique tale of tragedy and triumph, of turning your back on your past and standing up for what’s right despite the consequences. It’s a flashback story but one that certainly is worth a read. 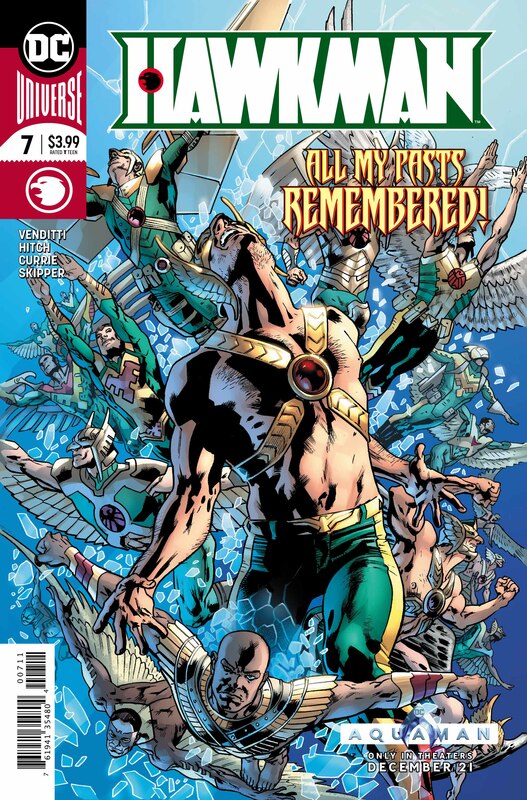 Now for something that I can talk fully about – the always impressive artwork of Bryan Hitch, Andrew Currie and Jeremiah Skipper. Hitch has gone massive scale here as we see the aftermath of giant fight scenes and planets literally being consumed by black holes. Hitch is at his absolute grandest and it’s worth every penny of the cover price. Jeremiah Skipper’s typically great colours only enhance the spectacle, featuring a great use of blue in this issue contrasting with a powerful use of yellow near the end the end. Yes, I’m being really vague here but that’s because I don’t want to spoil the great story. This is the retcon to end all retcons for a character’s origin, but one which definitely makes sense as part of the story that’s being told here. 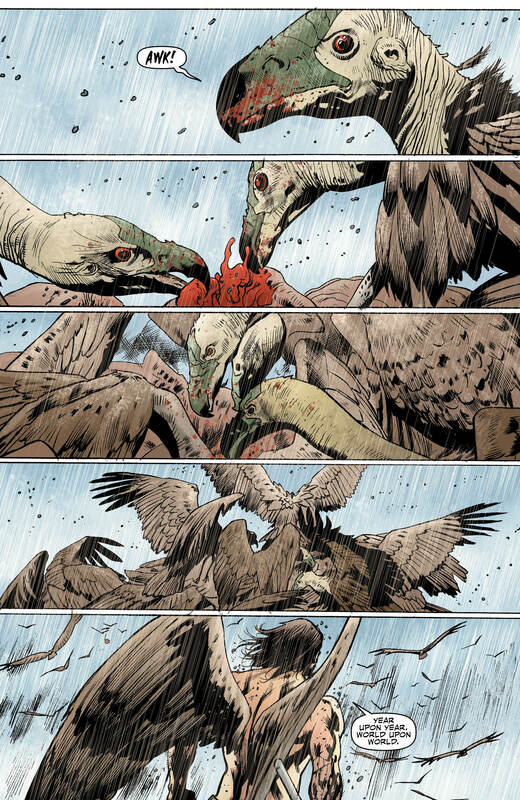 And with these revelations out of the way, it’s time to battle The Deathbringers, and that means going to a place up in the sky, not with a bird or a plane… but we’ll get there soon enough.